The minerals and herb in this formula combine to work as a restorative tonic to support overall wellness, increase stamina, energy, vitality and supports natural levels of minerals to interact in perfect balance for optimum health. Based on scientific research on Eleuthero, results show the herb benefits include: may improve memory, overall ability to activate the body’s anti-aging possibility and as a stimulant to support overall health. Eleutherococcus senticosus was traditionally used to address body deficiencies, such as fatigue, lack of energy and reduced appetite. 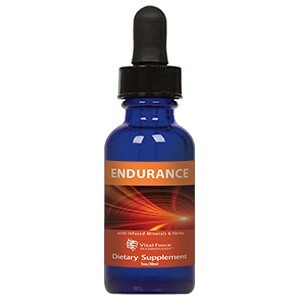 Numerous studies on Eleuthro demonstrated its adaptogenic qualities, positive impact on athletic performance and on the body’s resistance to physical exhaustion, as well as on chronic fatigue and quality of life.